Loan Officer, Brent Mendelson, offers a standard $250 discount for every loan he closes for Teachers. 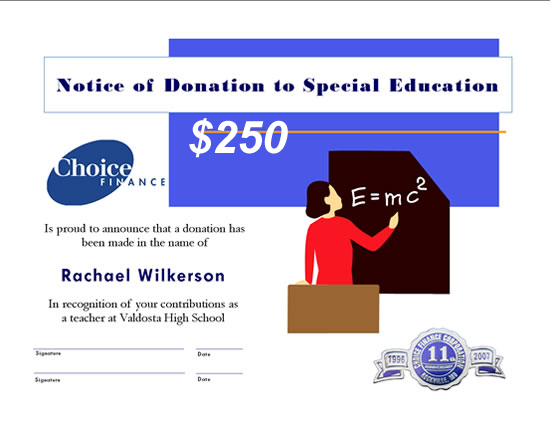 Special Ed teacher Rachael Wilkerson donated to her special education program at Valdosta High School in Georgia. Valdosta is located in Lowndes County, and boasts the winningest high school football program in the United States. "As first-time homebuyers, my husband and I were very confused about the mortgage process. 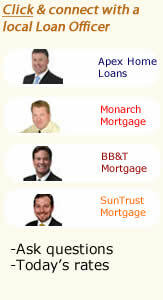 Brent was able to easily explain the many aspects of getting a loan and helped at every step. He was constantly available to answer any questions and never pressured us into doing something we weren't comfortable with. Brent went the extra mile to get us pre-approved during this time of very strict lending standards. His Good Faith Estimate was extremely clear and concise. It was the only one we received that we could easily understand, and he did not try to sneak in extra charges or points like other lenders. Brent gave us a discount for my husband being a teacher and had the best overall price of the other lenders we dealt with (even without the discount)." Ask Brent what documentation will be needed upfront, so he may make copies and sign-off on your discount* or donation before you start the process with him. We are honored to work for you and give back to you and your very important profession. 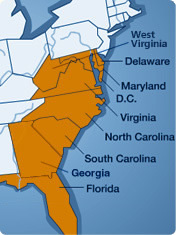 In return, you must commit to live in the property for 3 years as your sole residence. The selected bidder may purchase the property at a 50 percent discount from the list price. To make a HUD home even more affordable, you may apply for an FHA-insured mortgage with a downpayment of only $100 and you may finance all closing costs. Choice Finance® is an FHA approved lender.